Allaah The Exalted commands His slaves to supplicate to Him and promises to answer and reward them for their Du‘aa’. Numerous texts of the Islamic Sharee‘ah have underlined the greatness, virtue, significance, and status of Du‘aa’ in Islam. In fact,Du‘aa’ is the essence of worship, and it is one of the effective ways to prevent the trials or misfortunes that had been decreed to befall the servant before they befall him or to remove them after they have befallen him. Furthermore, Du‘aa’ is the most important key to open the hearts so that they may find rest and relief of anxiety. It is the refuge for those who are helpless, oppressed and weak. Indeed, the most helpless of people is he who is unable to beseech Allaah in supplication. 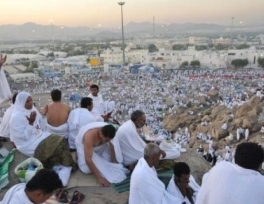 In Hajj, the pilgrims’ need for Allaah The Exalted and His help is more intense than at any other time, so they are more sincere in worshipping Allaah The Almighty, and these are among the fundamental reasons for the acceptance of their Du‘aa’. It was narrated in the story of the three men who were trapped in a cave when a big rock blocked its entrance that the men in crisis started beseeching Allaah sincerely and humbly in supplication until the rock was removed and they were freed. 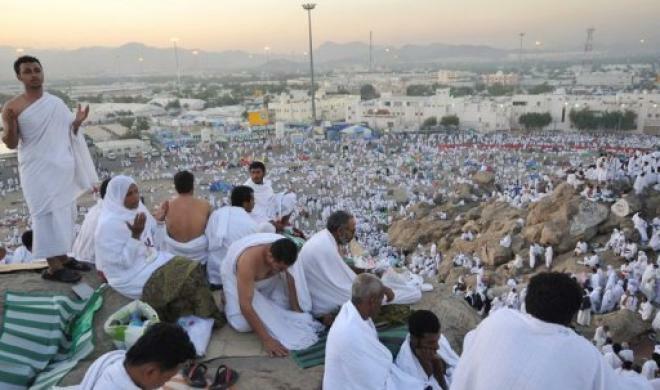 The Prophet, peace and blessings be upon him, spent that day of ‘Arafah on top of his camel raising his hands and reciting this supplication from sunrise until sunset. The Prophet, peace and blessings be upon him, would stand and face the Qiblah (direction of prayer) after throwing the pebbles, raising his hands to supplicate Allaah The Exalted for a long time.